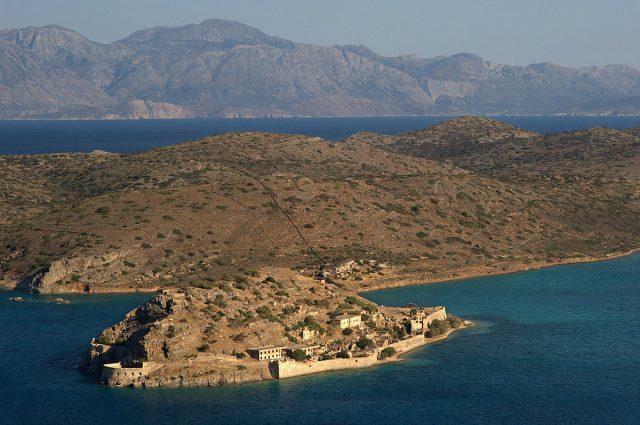 The small island of Spinaloga, officially known as Kalydon, is located in a gulf in north-eastern Crete, next to the town of Plaka, near the Spinaloga peninsula – which often causes confusion, as the name Spinaloga is used for both. From 1903 until 1957, the island was used as a leper colony. 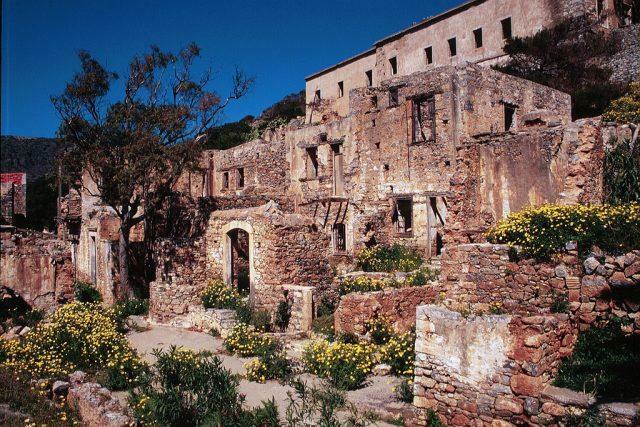 It was one of the last active leper colonies in Europe. 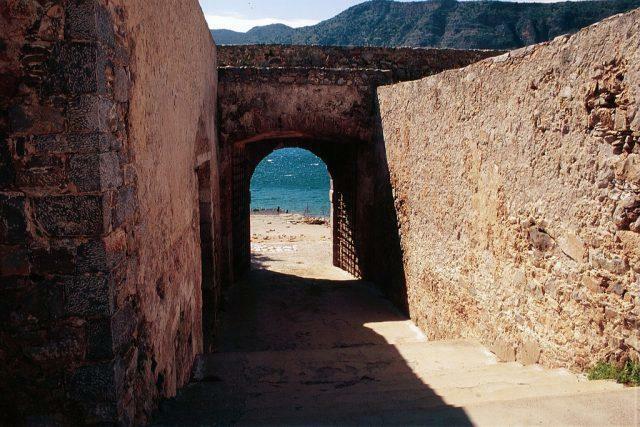 At this time, there were two entrances into Spinaloga, one of them used as the lepers’ entrance, a tunnel known as “Dante’s Gate”. The name came from the uncertainty of knowing what would happen to the lepers after they passed through the tunnel. But once they were inside, all of them were surprised to receive food, water and medical attention. 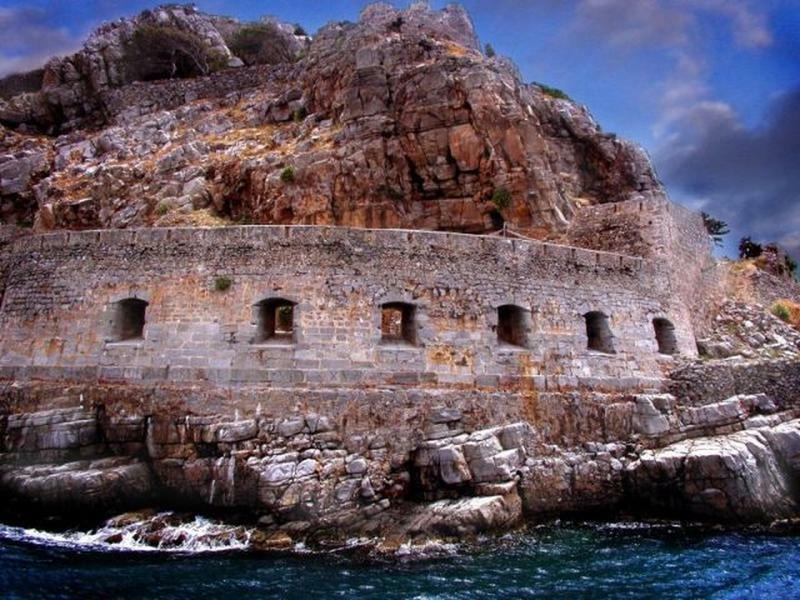 The last person living on Spinaloga, an orthodox priest, left the island in 1962. 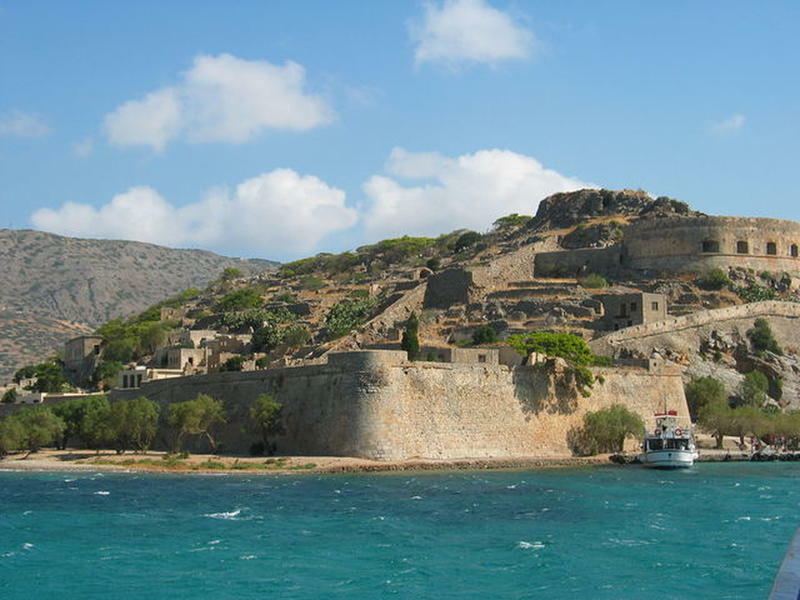 Today, the island is uninhabited but remains a popular tourist attraction in Crete. People want to see the leper colony and the fortress, but Spinaloga also has nice shallow pebble beaches. The island can be easily accessed and tourist boats leave every 30 minutes from the towns nearby. There is no accommodation on the island, so all tourists visit can last only a couple of hours.